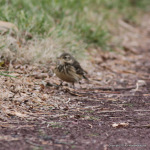 After we saw this guy foraging along the road in lousy light in Harrier Meadow last Tuesday, we thought it would be a great Teaser candidate. 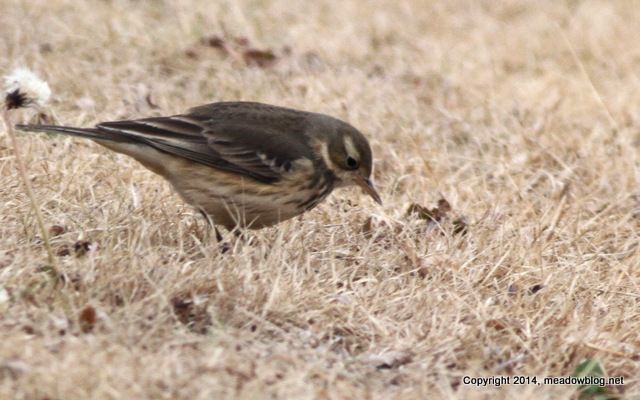 The answer: American Pipit. Congrats to all who ID’d it correctly. 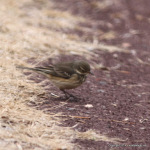 More on American Pipits here. 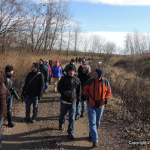 Sunday’s annual Kingsland Landfill walk could not have been better: great group of people, sunny skies, and winds out of the north, which provide great views of the visiting Rough-legged Hawk. 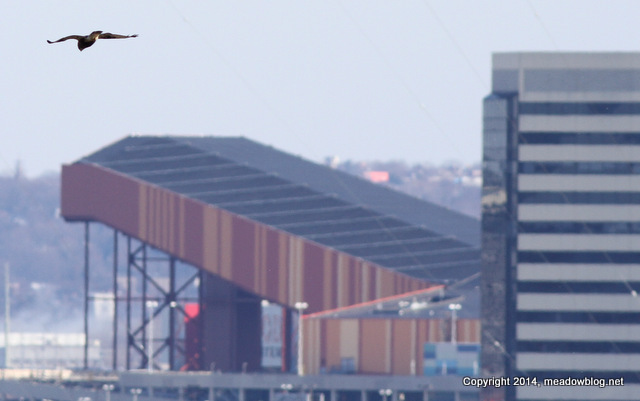 As promised, here’s a full list of birds seen on the walk, plus more pix, including the Rough-leg being photo-bombed by the ski slope at American Dream (above). 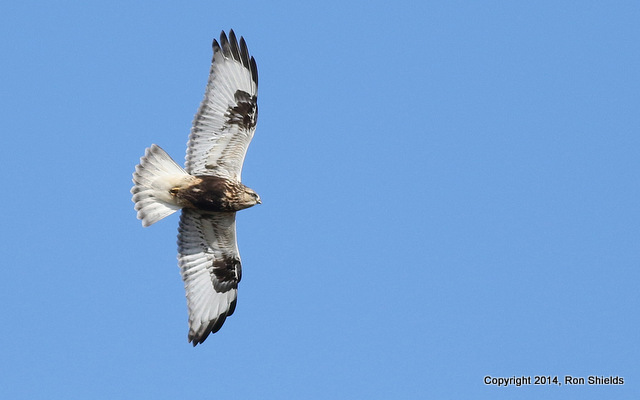 Ron Shields sent along this photo of a Light-morph Rough-legged Hawk, the star of yesterday’s walk on the Kingsland landfill. We had several rewarding looks. 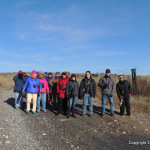 The raptor was hunting the windward side of the landfill, where our walk took place. 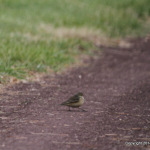 At the end of the walk, many of us saw this visitor from the North again from our vantage point in DeKorte Park. Very cool. We planned the walk a year ago. 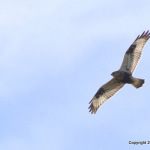 The Rough-leg was nice enough to arrive Friday and stick around. How’s that for lucky timing? We will post the full bird list later today.